Stampendous Aged Embossing Enamel .60oz - STAMPENDOUS-Aged Embossing Enamel: Black. This embossing powder is a fascinating creation! Add low-level glossy dimension to your scrapbook page, greeting card, or any paper craft. And why stop at paper? Embossing powder is extremely easy to use! It can be coordinated with glitter, flock, stickers, and much more! 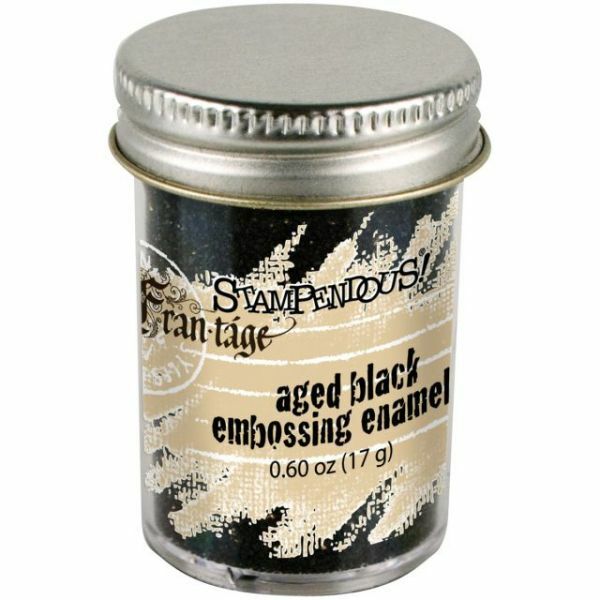 This package contains one .6oz container of embossing enamel. Made in USA.